“Is ‘charming’ a genre?” is how NPR began their First Listen feature on tonight’s Croc headliner and we wholeheartedly agree. 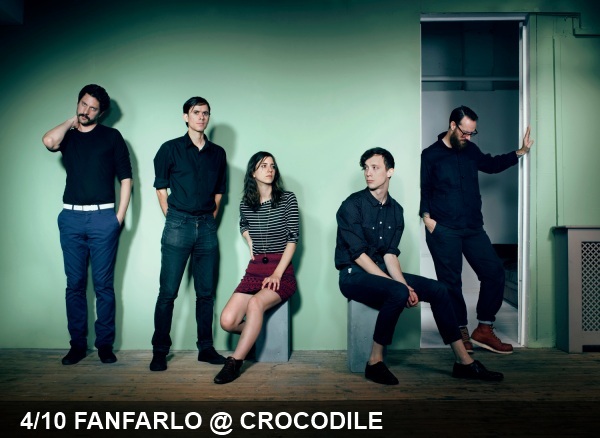 Fanfarlo, the London-based band with a penchant for folk melodies and eclectic instrumentation, certainly has become tougher to describe in prose than it once was. Previously, we’d reach for a quick Beirut-reference if we were really pressed to describe their sound to our friends but even that somewhat-flimsy comparison falls hopelessly flat. If you like how that sounds, or much more importantly how they actually sound once you’ve had a chance to spend some time with their music below, head over to The Crocodile for the live experience.